The history of Sri Lanka’s rubber plantation industry began way back in 1876 with the planting of 1,919 rubber seedlings - the origin of an uninterrupted and profitable supply chain. This agricultural commodity has since become of strategic significance with respect to the global rubber industry. Customarily close to the hearts and minds of farming communities all over Sri Lanka, the rubber industry has a close association with sustainable practices. The rubber industry generates employment for a vast number of people mainly from rural areas and is important in providing them with economic sustenance for their livelihood. Sri Lanka prides itself in manufacturing a number of value added rubber products by processing raw rubber. 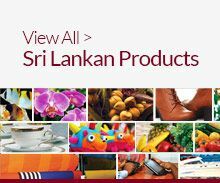 These range from Rubber Products made in Sri Lanka are internationally acclaimed and accepted for quality and durability. Sri Lanka's industrial solid tyres are not only recognized as the best product in the world but also industry prides itself as the market leader of the global market. A rubber tree has an economical life of about 25 – 30 years, while harvesting commences at about 7 years from planting. Continuous replanting takes place where older trees are replaced at a rate of about 3% of mature acreage per year. A constant upgrade of the plantation sector goes on with improved planting stock being developed to yield a higher output than earlier. 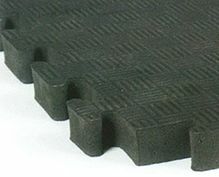 Rubber is manufactured in a variety of traditionally acceptable grades that are absorbed by the markets. 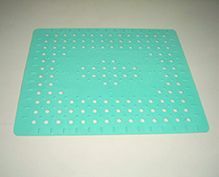 The main grades are Ribbed Smoked Sheets (RSS), different types of crepe rubber, Technically Specified Rubber (TSR) and latex concentrate. 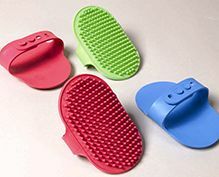 Of this production of natural rubber, 70% is absorbed by the rubber products manufacturing sector comprising of organizations categorized as small, medium and large. These manufacturing organizations collectively have a large portfolio of different products that are manufactured either for local sales or predominantly for the lucrative export market. 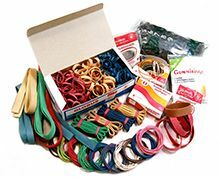 The wide products range comprises of such items as solid tyres, latex gloves, rubber bands, extrusions, beadings, mats, miscellaneous sports goods etc. 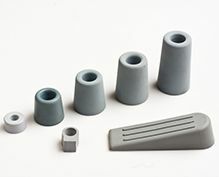 The versatility and experience of the technologists and designers enables the manufacture of rubber products to suit the stringent and competitive requirements of the marketplace and are internationally acclaimed and accepted for quality and durability. 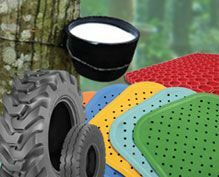 Sri Lanka produces rubber & rubber products for International brands such as CONTINENTAL, SOLIDEAL, WONDER GRIP, MAPA, SAFETY WORK, etc. 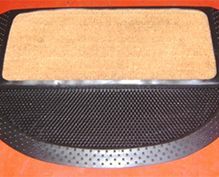 The production & processing of natural rubber and the product manufacturing industry together provide gainful employment to over 300,000 persons making this industry a mainstay in economic sustenance while at the same time providing a high degree of environment friendliness through the natural forest cover provided by the rubber plantations and substantial carbon sequestering. In consideration of the potential of its high value adding capacity in the product manufacturing sector the industry together with relevant government institutions has developed a 10 year master plan for the development of the rubber industry. The globally linked rubber industry in Sri Lanka shows excellent potential for exponential growth with the global industry growing annually at 4-6%. Sri Lanka’s range of products has ample room to evolve with new developments and research in the field.With opportunities in the global markets being assured to technically sound and innovative local rubber & rubber based product manufacturers & suppliers, it is clear that the rubber industry will continue to be a solid and profitable facet of Sri Lanka’s economy.